Trienekens Wins PETRONAS Outstanding Vendor Award 2018 | Trienekens (Sarawak) Sdn. Bhd. 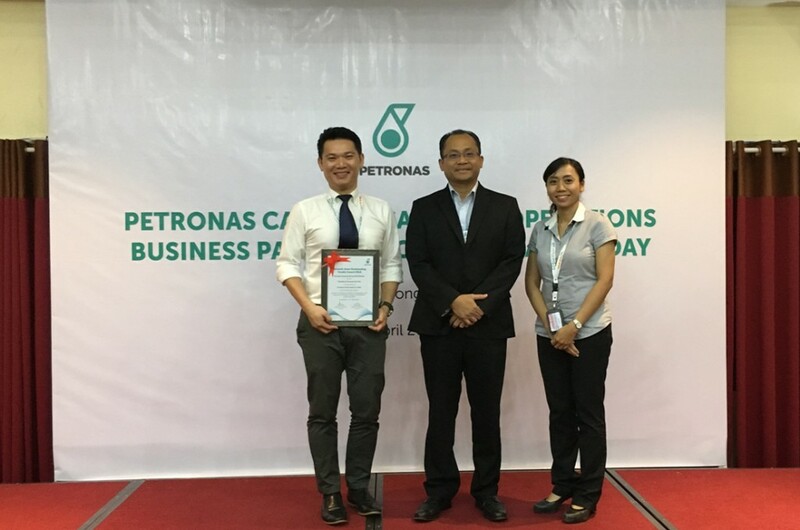 BINTULU: Trienekens (Sarawak) Sdn Bhd was recently accorded the Sarawak Asset, Outstanding Vendor Award (Excellent Performance category) from Petroliam Nasional Berhad (PETRONAS) in recognition of their exceptional performance in 2017. EXEMPLARY PERFORMANCE… Trienekens’ Group Deputy CEO, Elvin Wee (extreme left) with Head of Sarawak Oil, PCSB Anuar Ismail (centre), and Trienekens’ Bintulu Branch Division Manager, Patricia Susie Nyisong. The accolades are accorded by PETRONAS to honour its contractors for their exemplary service delivery and outstanding performance in Health, Safety and Environment (HSE), reliability, responsiveness and respectability. Trienekens, which is an integrated waste management company, was among the 13 local oil and gas service providers who received their award from Head of Sarawak Oil, PCSB Anuar Ismail during the PCSB Sarawak Operations Business Partner Collaboration Day 2018 here on 25 April 2018. Trienekens (Sarawak) Sdn Bhd is the operating company of the Integrated Waste Management System (IWMS) in Sarawak, a holistic environmental management system that integrates the collection, transportation and disposal of both municipal and hazardous waste using modern environmental technology. Besides providing municipal waste management services for Kuching City’s three largest local councils, Trienekens is also the service provider for hazardous waste management covering East Malaysia, including the Federal Territory of Labuan. Copyright © 2019 Trienekens (Sarawak) Sdn. Bhd. All Rights Reserved.